NEW! The slides for the invited talks are available online. 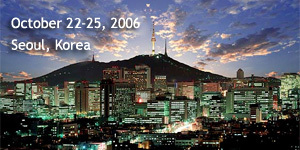 The International Conference on Hardware-Software Codesign and System Synthesis is the premier event in design of embedded systems hardware, software and tools. The conference proudly continues the tradition of being a high-quality forum for active discussion on current and innovative topics. The program will bring together the latest in academic and industrial research and development. High-quality original papers will be accepted for oral presentation followed by interactive poster sessions. Selected papers from the conference proceedings will be targeted for journal publication. Co-design methodologies, interaction between architecture and software design, HW/SW partitioning, design space exploration, HW/SW interface. System-level models and semantics, timing analysis, power, formal properties, heterogeneous systems and components. Multiprocessor architectures, communication protocols, design space exploration, MPSoC and networks-on-chip. Compilers, memory management, virtual machines, scheduling, power-aware OS, real-time support and middleware. Design experiences of high interest to the community. Applications of new practical and theoretical approaches, state-of-the-art methodologies and tools to real-life problems in various application areas such as, cell phones, network processors, sensor networks, automotive, multimedia and medical systems. New challenges for next generation embedded computing systems, arising from increased heterogeneity, new technologies (e.g., nanotechnology, biochips) or new applications (e.g., ubiquitous computing). Networked embedded systems.